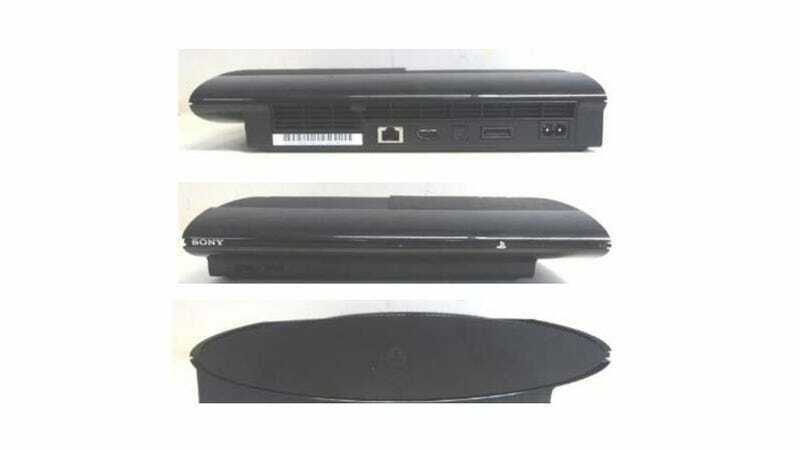 A series of photos attributed to a filing with the Brazilian equivalent of the U.S. Federal Communications Commission appears to give the first look at the case of a redesigned "superslim" PlayStation 3, which last week was rumored to be in manufacturing by Sony. The Brazilian site Tecnoblog reports that the unit's model number in the Brazilian market is CECH-4011, and will be sold in configurations with 16, 250 and 500GB hard drives. The original rumor pegged the new PS3 model numbers at CECH-4000A and 4000B for the North American markets. Tecnoblog has more views and images at the link below.